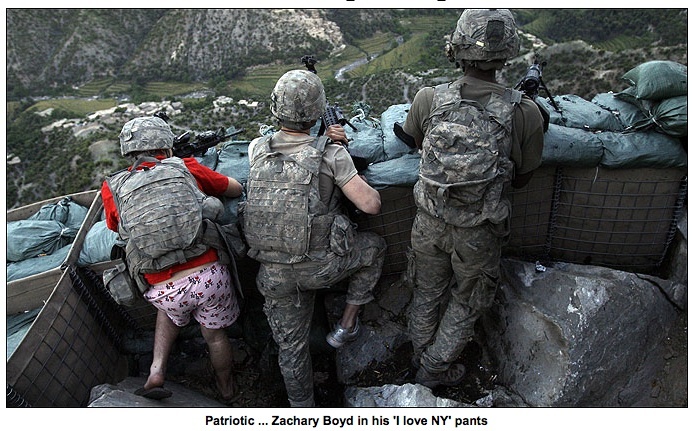 “WASHINGTON (Reuters) – U.S. Defense Secretary Robert Gates on Thursday praised an Army soldier in eastern Afghanistan who drew media attention this month after rushing to defend his post from attack while wearing pink boxer shorts and flip-flops. If you have too many people in one state, when they get out on the city streets and highways, are they like too many mice in a cage? I spend a lot of time driving across the country. Last summer, after a trip across part of the central and western U.S., I was tempted to write an article about my observations. I had concluded quite some time ago that Michigan drivers were worse than the drivers in Colorado, Nebraska, and Iowa. A few years ago I came to the conclusion that Ohio drivers are even worse than Michigan drivers. Maybe that’s because I made several trips to Columbus Ohio over a period of 6 months and on every trip I saw at least one accident on the city streets where a car was on its side or on it’s roof. You have to work hard to get cars on their sides or upside down when driving on streets where the speed limit is 35 or even 25. My trip last summer reinforced my conclusions.